It has been high planting season so I have been away from the blog for a little while. 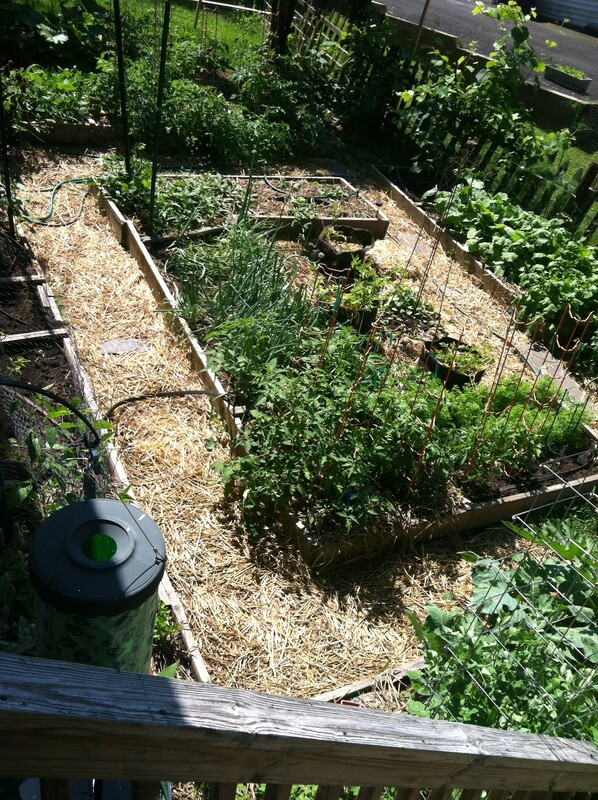 I’ve revamped the compost corner of the yard, topped off the vegetable beds, weeded more than I care to admit to, mulched the pathways and actually got some seeds and seedlings in the ground. Things are lookin’ good! The husband and I have been enjoying some spinach and lettuce greens and are looking forward to pretty much everything else that is now growing nicely. Most of the seedlings did very well but a few were duds. I’m not too proud to admit that I’m happy to support my local garden store by purchasing seedlings for the things that I didn’t grow well from seed. One corner of the garden still needs to be attended to. It currently is home to a rhododendron that has been struggling for years. Last year I learned in my Master Gardener’s class that the tree could be pruned over time to have a more bush-like low growth habit rather than a tall growing habit. This seemed like a great solution. 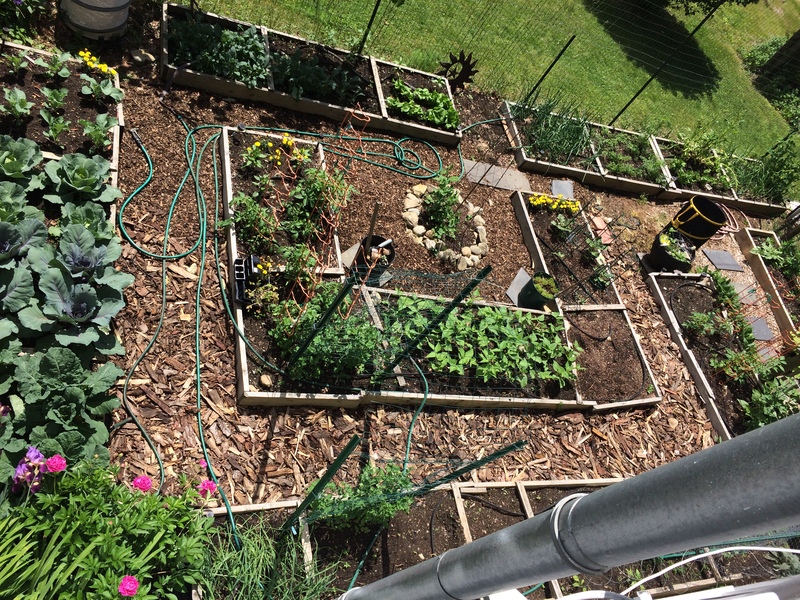 The height blocks some of the sunlight to the garden and the tall limbs were rubbing on one another and creating weak points for moisture and rot. Last year I literally cut out half of all the tall limbs with the intention of cutting back the remaining limbs this year. This tree has never looked so good! Gorgeous full blossoms! I am still taking it down to ground level but the pruning has breathed new life into this otherwise slowly dying tree. By next week the blooms will be spent and the second phase of pruning will begin.